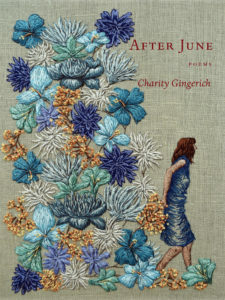 Green Writers Press is proud to offer some stunning poetry books in our catalog. We are looking for new and emerging poets that write about the earth and our place in nature and the built environment, poets who give voice to those who are marginalized in our society, and established poets who want to publish with us and enjoy the benefits of working collaboratively. 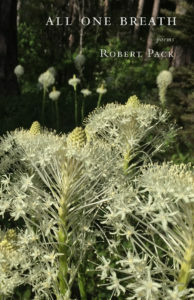 Green Writers signed the new poetry collection by Robert Pack, entitled All One Breath, and we are thrilled to work with such a notable American poet as Pack. We also recently published Dirt and Honey, by Rachel Vasquez Gilliland, an emerging Mexican-American poet and feminist. Another upcoming book is titled Time Inside, by Vermont poet Gary Margolis, about his work with maximum security prison inmates. Last, but not least, GWP just published A Bouquet of Daisies, by seventeen-year-old poet, Megan Alice, with proceeds benefitting the Planned Parenthood Federation. We strive for a diverse chorus of poetic voices and our literary magazine, The Hopper, is doing just that. Founded in 2015 by Dede Cummings and Sierra Dickey, the Hopper also awards a poetry prize, now in its third year. Winners include John Saad in 2016, Ralph Black in 2017, and our 2018 winner, Charity Gingerich. Our poetry editors are James Crews, Anna Mullen, Ellie Rogers, Emma Irving, Dede Cummings, and Caroline Shea. We have a bias for poetry that is accessible to as large an audience as possible, and because we are an independent press run almost entirely by women, we also believe that more female and transgender voices are needed in American poetry to give voice to those who have been kept quiet for too long. But as an environmentally-minded publisher, we hold close to Robert Bly’s idea of “shared consciousness” with the natural world — an outlook long held by Native Americans before us. This idea puts forth that elements of the natural world are just as intelligent and conscious as humans (if not more so), and perhaps the current environmental crisis would not be so dire if more people saw the world in this way. We need more American poetry that acknowledges our essential interconnectedness as a planet and as a human species. To paraphrase the Vietnamese Buddhist monk, Thich Nhat Hanh, we’d like to see more poetry that awakens us from the illusion of our separateness. What the future holds for Green Writers Press’ poetry program: our publisher is an award-winning poet in her own right, so we give a lot of attention to publishing and promoting our poetry catalog. To that end, you can expect to see several new collections which showcase diverse American voices, and which unflinchingly tackle the environmental crisis. Upcoming 2019 poetry collections in addition to the Hopper Prize winner, Charity Gingerich’s After June (spring 2019), we will also be publishing Ha Kiet Chau’s collection Eleven Miles to June (fall 2019) and Sarah Wolfson’s A Common Name for Everything (fall 2019). You can also look for anthologies that are in and of themselves forms of resistance against the prevailing fear and outrage infecting our politics and our country as a whole. 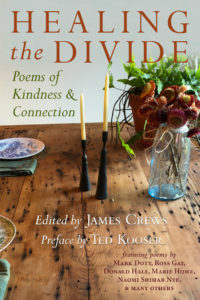 For instance, we’ll be publishing an anthology edited by our poetry editor, James Crews, called Healing the Divide: Poems of Kindness and Connection, with a lovely preface by former Poet Laureate Ted Kooser. This entry was posted in Publishing News and tagged diversity, poetry, poetry community, small press on November 21, 2018 by Dede Cummings. GWP a Finalist in AWP’s 2019 Small Press Publisher Award!